It is hard to believe that this was a dilapidated outdoor pool. This is Bill's pool. A wonderful example of how an organic pool can adapt to any design approach. It's not quite finished and the pool has just been filled so the water is still green. Soon, when the plants grow and the water clears, it will be spectacular. Before starting this project he had advice from two "professional" companies. 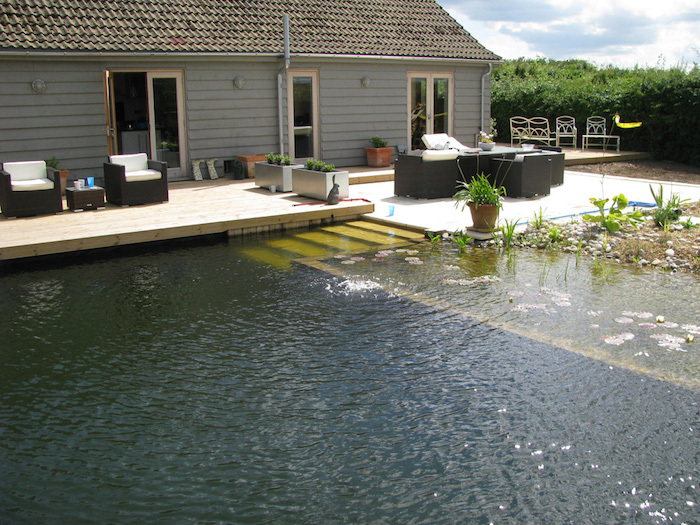 The first company said it was not possible to build a natural pool in his garden. The second wanted £45,000 pounds for their DIY kit. Bill, bemused by the nonsense and contradictory advice, was directed by his architect to talk to Organicpools. 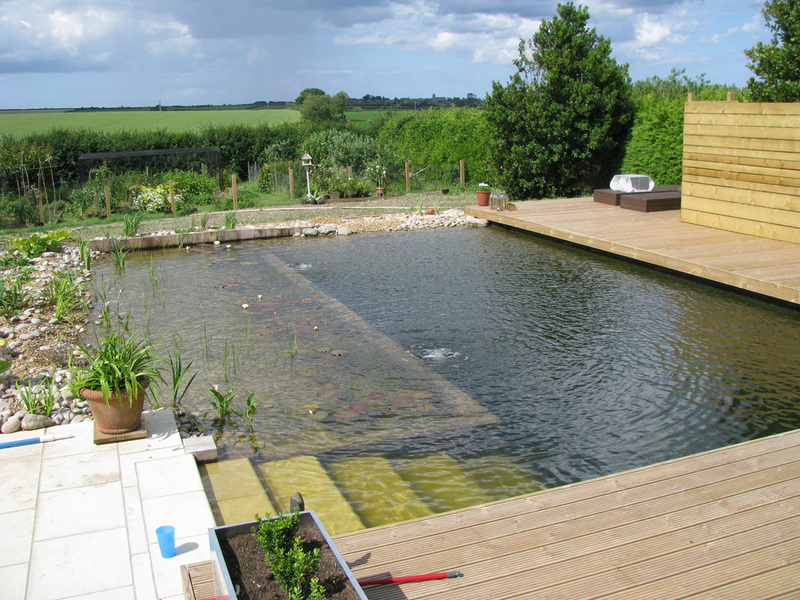 After attending one of my courses, Bill has built his own pool for £6,000. Achieving the impossible and saving £39,000. You can even stay at Bill and Patricia's B+B, Longview, in Walsingham, while attending one of our courses.